Focusing on planning, managing and organizing the available resources. Objectives and goals of the organization can be achieved in an efficient manner through proper project management. A project manager can help forecast risk that might arise during the production process and ensure that these risks are addressed with a proper plan. Cindy Zak, MS, RHIA, PMP, FAHIMA is Executive Director, Revenue Services at Yale New Haven Health. She was Chair of the Vision 2006 and Triumph Committee and served on the Council for Education Excellence, HIM Workforce Committee and the Information Security Delphi Task Force. Cindy testified on behalf of AHIMA at the Congressional Subcommittee on Health Data Needs, Standards and Security. Cindy was awarded the Computerized Patient Record Breakthrough Triumph Award and in 2018 the AHIMA Grace Award. Cindy served on the CTHIMA Board of Directors (BOD), AHIMA BOD and Foundation BOD. She is a published speaker and writer on Health Information Management, Information Governance, Project Management, and Clinical Documentation Improvement. Information is one of any Healthcare Organization’s most valuable resources and needs to be treated as such. With the complexity found within the Healthcare industry, including the frequent changes in regulation, care delivery models, concerns for patient safety, and the need for greater transparency, how you manage your information has a direct impact on your organization’s success. By implementing an overarching and effective Information Governance program you can transform your organization by reducing costs, minimizing risks, and building resilience. This way you can turn your data into a resource that can be used to gain insight into your world and provide more value as opposed to being just a necessary burden that has to be protected. John has over 20 years of experience in the Healthcare space. 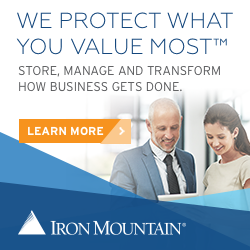 As part of Iron Mountain John is helping to expand their Healthcare market share by promoting and educating customers on Information Governance best practices that will help organizations manage and secure their records through a lifecycle that includes extended periods of digital transformation. 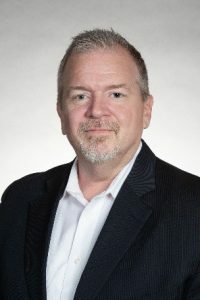 Prior to this John was Manager of the Healthcare Vertical at Extreme Networks where he helped to define and prioritize new strategic initiatives within the Healthcare vertical globally for Extreme Network’s visionary software-driven networking solutions. Before that he was responsible for supporting all aspects of sales enablement and demand generation for the sales organization of UNIFY (FKA Siemens Enterprise Communications) including defining the market position for UNIFY’s’ award winning portfolio of Communication & Collaboration products across the Healthcare and Manufacturing verticals in North America. John also spent six years as the Chief Technology Officer for Specialists On Call. He helped establish this start-up, concept, telemedicine business and turned it into the largest emergency telemedicine practice in the U.S. with over 60,000 emergency consults per year in hospitals across the United States. He designed an innovative IT infrastructure to support the telemedicine practice with robust, secure, video conferencing, PACS, EMR, and CRM technologies which received an exceptional rating on the IT infrastructure from The Joint Commission. Predictive analytics is the process of learning from historical data to make predictions about the future. For health care, predictive analytics will enable the best decisions to be made. For more than 10 years, the Healthcare Executive Group has annually queried its members to see what’s keeping them awake at night. The effort has provided insight into primary opportunities, challenges and issues currently facing healthcare executives and a potential roadmap for HIM professionals. Karen Lawler is an experienced Health Information Management Thought Leader, Credentialed Privacy and Security Professional, AHIMA mentor award recipient, and Advisory Board Fellow, with a proven track record of execution of leading Information Governance teams, Electronic Health Record transitions, revenue cycle management and HIPAA privacy and security programs. She has lead successful electronic health record program implementations in collaboration with Information Services and Clinical teams, developed CDI programs, and moved many processes from paper to the electronic environment in both the Acute and Long Term Care health care systems. Karen is the Corporate Director of HIM and Corporate Privacy Officer at the Hospital for Special Care in New Britain CT. Karen is also the principal owner of KJLConsultants LLC, where she has assisted organizations with EMR implementations and HIM staff reorganization. She is a graduate of Wagner College in Staten Island and holds a master’s degree in Health Services Administration at the New School of Social Research in Manhattan. Karen earned her RHIA certification from Downstate Medical School’s Health Information Management Program. 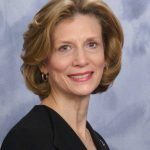 Karen has presented nationally on many topics showcasing how HIM professionals can assist organizations with strategic planning and execution of patient information workflow improvements. We are all familiar with the HCCs, but are we aware there are more than one set of HCCs? How were the risk methodologies developed and where are they going? Quality data can help us better understand and show our patients’ risk. Examining the data can identify opportunities for improvement. 6.5 CEUs will be offered for this full day session. Pricing includes a light breakfast with coffee and individual boxed lunches from Bourassa Catering of Wallingford.